Personalized Children's Name Bracelet in the color of your choice. Available in all sizes newborn through adult. 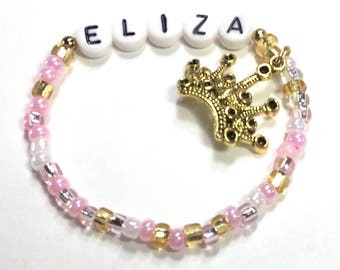 This personalized bracelet is perfect for Christenings, Baptism, First Communion, flower girl, and junior bridesmaid gifts. 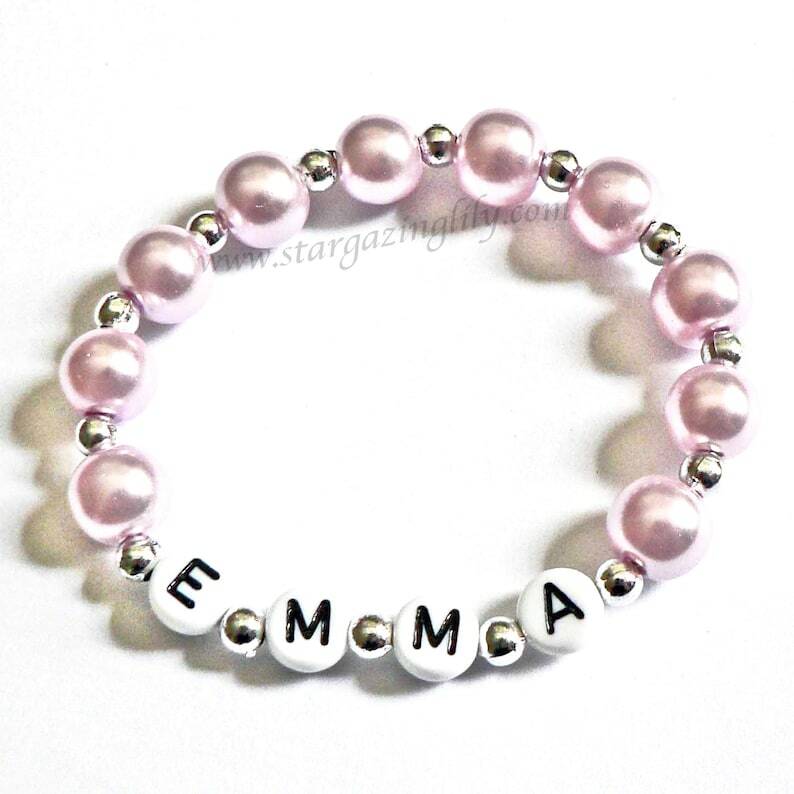 Also nice as newborn twin ID bracelets. This bracelet makes a great gift. It's available in a variety of colors and is great for party favors!